Everyone needs to save money in this terrible economy. One of the ways to do this is saving on energy costs by installing skylights. 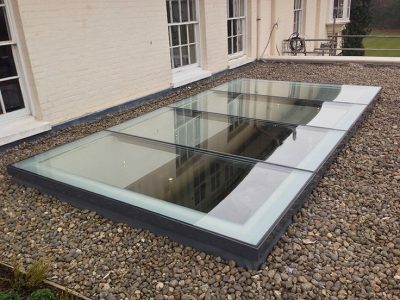 As simple as it might look, skylights offer so much functionality for your home, making it very easy for you to live a more exciting life. Here is how skylight can help you save plenty of money when you do it right. Skylights are designed to allow light into your home during the day. Once the natural light comes in, the entire interior area is illuminated. This illumination makes everything bright and colorful, and that is what you need for your home. The bright light from the skylight means you don’t have to put on any bulb in your home. So, if you have a skylight in the living room, kitchen, and bathroom, you will be saving much on your power bills. There are a couple of lighting fixtures and accessories out there that can complement the natural skylight in your home and help to reduce your electricity expenses further. These fixtures work by intelligently detecting the passing of day to night and vice versa, thereby automatically replacing the natural lighting with artificial lighting fixtures as it may be required. When installing your skylight, you must be careful to determine where it faces, if you want to get the most sunlight from it. If you want to get maximum natural light in the morning, you should consider placing the skylight in the east of the room. If you want light in the afternoon, then it should be installed facing the west. Avoid facing your skylight towards the south because you are going to get very poor lighting. Most people place their skylight facing the north because that is how you get the most light during the day so you get to save more money. Save money on the cost of energy consumption by selecting energy-efficient skylights that are completely insulated and sealed. Such a skylight is what you need to prevent drafts from getting into your room. You will also be able to protect yourself from escape of heat and cold through the air-conditioning and heating system. If you are using glass, make sure it is double-glazed. This will help prevent the heat from passing through to the other side and keeping your home energy efficient. Some people also use tinted glass or apply a film over it to reduce the amount of heat gained. Tinted skylight glass will also help reduce the cost of cooling and heating during the summer months by absorbing the solar heat. Energy efficiency in your home is all you need to reduce costs and save money and that is what skylights can give to you. You can choose any type of skylights as long as you’re okay with the design. Don’t forget to look for energy-efficient skylights that prevent the transfer of heat and cold.